Cabrera Capital Partners provides national real estate investment advisory services. 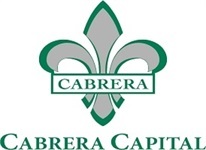 Cabrera Capital Partners’ experienced team of professionals has a significant history of acquiring and developing commercial real estate in excess of 60 projects totaling approximately 35 million square feet resulting in an aggregate property portfolio in excess of $3.5 billion (USD) in gross asset value. In both good markets and bad markets, our team’s disciplined investment philosophy and commitment to client relationships have resulted in a consistent and measured growth of assets under management. Cabrera Capital Partners’ investment team has extensive experience in a variety of product types and investment strategies designed to achieve measured, incremental growth. This managed, systematic approach to growth of assets under management affirms that our paramount goal is to achieve benchmark-exceeding returns and outstanding client service.